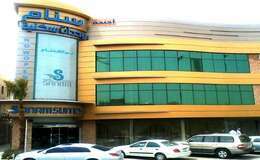 Cidic Medical complex is located on Makkah Al-Mukarramah Branch Road, Al-Olaya District, Riyadh. Cidic is a medical center that includes a team of doctors specialized in the following specialties (cosmetic, dentistry, leather). This medical complex is working on the use of modern technologies and effective and reliable treatment methods that have been reached internationally, to be the first medical centers in the Kingdom that use the latest technologies in various specialties. It provides the utmost care to patients and people who are treated by following each case carefully and accurately by specialists.